If you live in North America, you may have missed the total lunar eclipse last weekend. The eclipse was visible throughout the rest of the world and it was also the longest total eclipse of the century. 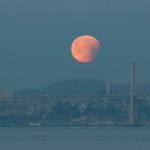 Six months ago, my children and I viewed a total lunar eclipse near our Bay Area home. 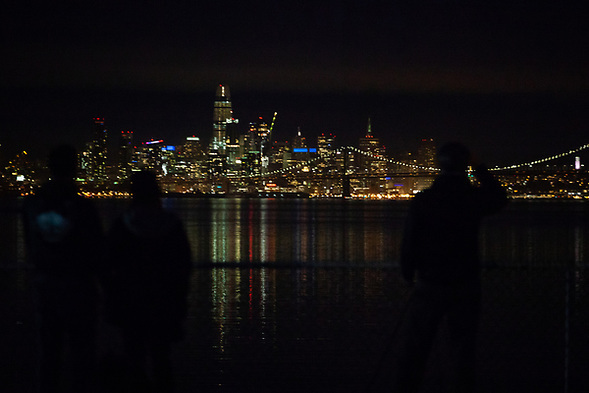 We spent the night on the deck of the USS Hornet. 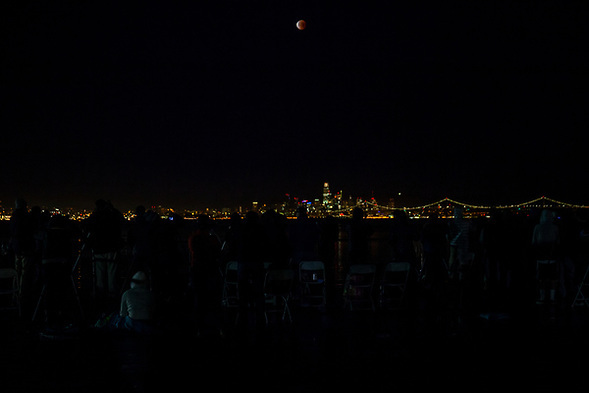 The USS Hornet Sea, Air & Space Museum hosted a “Blue Moon, Super Moon and Lunar Eclipse” viewing party on January 30-31. 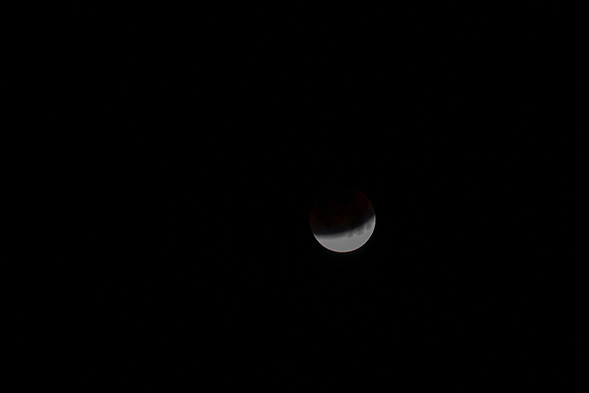 A “Blue Moon” and “Super Moon” might sound exciting, but the total lunar eclipse happened at night. 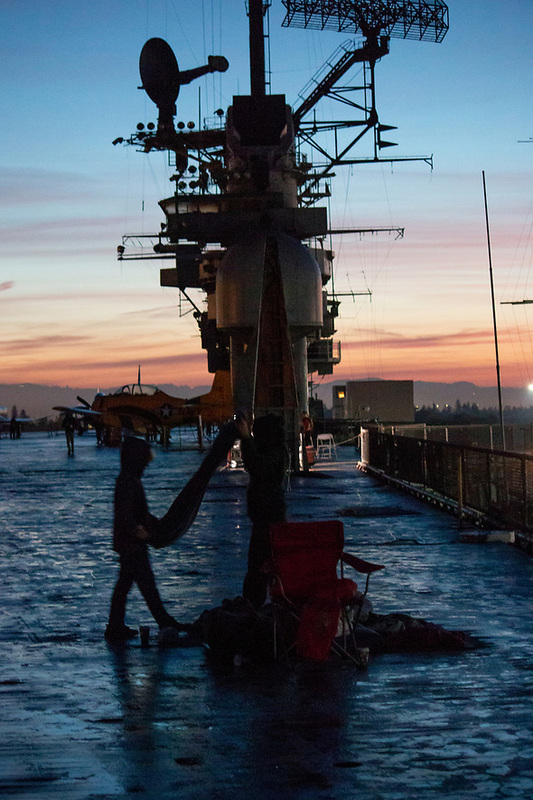 It might not have been the longest eclipse of the century, but we still spent the entire night on the flight deck of an aircraft carrier in the San Francisco Bay. We were wet and cold and tired.